>. AUTHORITY. 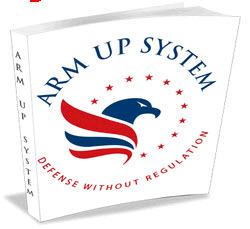 Solicitation of this information is made pursuant to the National Firearms Act (26 U.S.C. §5621 and 58221 Disclosure ot this information by the applicant is mandatory for any person (other than a manufacturer qualified under the National Firearms Act) making a firearm as defined in the National Firearms Act. 2. PURPOSE. To verify payment of the tax imposed by 20U.S.C. §5S21; to determine that the making would not be in violation of law; and to effect registration ol the firearm. 3. routine USES Tn* information will be used by ATF to make the determinations set forth in paragraph 2. In addition, to effect registration of the firearm, information as to the identification of the firearm, date of registration, and the identification and address of person entitled to possess the firearm will be entered into the National Firearms Registration and Transfer Record. No information obtained from an application. registration, or records required to be submitted by a natural person in order to cofngiy with any provision of (he National Firearms Act or regulations issued thereunder, shall, except in connection with prosecution or other action for furnishing false information, be used, directly or indirectly, as evidence against that person in any criminal proceeding with respect to a violation of law occurring prior to or concurrently with the filing ot the application. The information from this application may only oe disclosed to Federal authorities for purpose of prosecution for violation of the National Firearms Act. 4. EFFECTS OF NOT SUPPLYING INFORMATION REQUESTED. Failure to supply complete information will delay processing and may cause denial of the application. Tms form is in accordance with the clearance requirements ot Section 3307. PL 96-511, 12/11/80. The information you provide is used to estab'isn mat a transferee's receipt and possession of the firearm would be in conformance with Federal. State, and local law. The data ia used as proof of lawful registration of a firearm to the manufacturer. The furnishing ot this information is mandatory (26 USC 5622).